Moving your website to a new domain can be a daunting but necessary process. Whether you’re moving your site for a rebrand, consolidation or you’ve simply got your hands on a better domain, you should be thinking about your SEO. I’ve moved websites to new domains countless times and the great news is that if done correctly, you can easily preserve your rankings and domain authority by correctly using 301 redirects and Google Webmaster Tools. In this tutorial, I’m going to walk you through the exact process that I use to change domains whilst having no negative impact on SEO. My colleague Nick and I are currently working on a video blog that walks through the different circumstances as to why you might be changing domains. I’ll link that up once it’s live, but in the meantime I’m going to assume that you’re simply changing domains, and your website architecture (sitemap, URLs etc) are not going to change. As Google themselves recommend, if you’re changing domains AND launching a new website, you should do it in two separate phases. Change the domain first, then update the website once the domain change has settled. Either a full working version of the same website, located on the NEW domain name, on it’s own hosting environment (with either robots.txt and/or Meta Tags temporarily in place to block search engines until you’ve 301’d). Or, the ability to quickly change your hosted site’s domain via your hosting panel and (if necessary) Database references to the domain. Either of the above options are fine, but you need to make sure that you can still host both domains after you launch the site on the new domain. Your old domain will need to host a small ‘.htaccess file’ in order to ensure redirects are passed onto the new domain. Both domains should be verifiedÂ and accessible in yourÂ Google Webmaster ToolsÂ account. If you use Google Analytics, ensure you have sufficient permissions to change the domain settings for your site’s profile. Back-up your website and database(s). It’s important to have your .htaccess file and/or 301 commands ready before you switch the domain over. Once you’ve successfully migrated your site, this .htaccess file is all you’ll need to host on the old domain in order to successfully redirect. You should now be in a position to change domains. If you have a separate copy of the same site live on the new domain already, all that remains is to deploy your .htaccess file to the OLD domain hosting. Even if you leave all of your files on the old server as a back-up, the .htaccess file should redirect any and all traffic/requests onto your new domain whether they’re accessing the homepage or an individual landing page. Make sure you remove any robots.txt commands or Meta Tags on the new domain that will prevent it from being crawled and cached. If, rather than running the two domains alongside each other, you’re changing the one hosted site to the new domain then you’re now ready to do this. Once changed, you now need to set-up hosting for the OLD domain so that you can upload the .htaccess file. Hopefully step 3 makes sense, if it doesn’t please write a message in the comments below before you proceed. 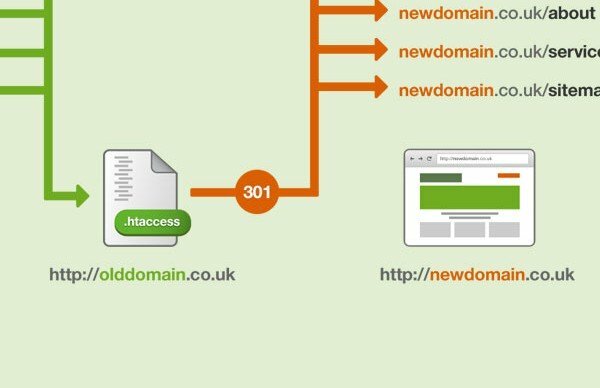 So by this stage, you should have your website live on the new domain, with any old domain URL requests being 301 redirected to their counterparts on the new domain. Correct implementation of the 301 redirects is good enough alone, but Google offer several features within Webmaster Tools to make sure the process is as smooth as possible. As you should already have your new domain verified too, select this in the drop down below, and press submit.Â If you’d like to learn more about ‘Change of Address’ and why it’s worth using, Google’s Matt Cutts explains it in a video here. 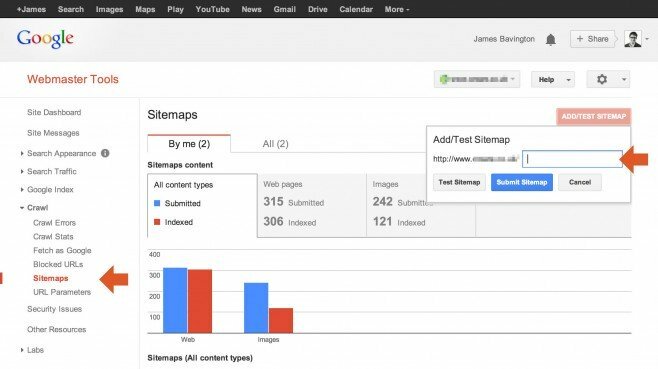 Start by initially testing your XML sitemaps, then once you’re satisfied they’re 100%, Add them onto the profile for crawling. Start by fetching your new domain’s homepage and any other key landing pages that you’d like to be promptly crawled by Google.Â Worth noting that you don’t need to worry about over-using this feature. You should now have a fully working site on the new domain, with the old domain redirecting requests and traffic perfectly. Not only that, but Google is in the process of switching your domain over in its’ cache of your site. I’d recommend spending some time next just testing your 301s, a good way of doing this is to search for your old domain using the search query: site:olddomain.co.uk. This will bring up all of your old domain’s cached pages within the results. Click away at the various listings to double check they all 301 redirect onto their counterpart on the new domain. Finally, don’t forget to update your Google Analytics profile. Rather than creating a brand new profile (unless you want to that is) you can simply change the domain URL that you’re asking Google to track. That’s it! If you have any questions or recommendations to improve this process, I’d love to hear your comments below.